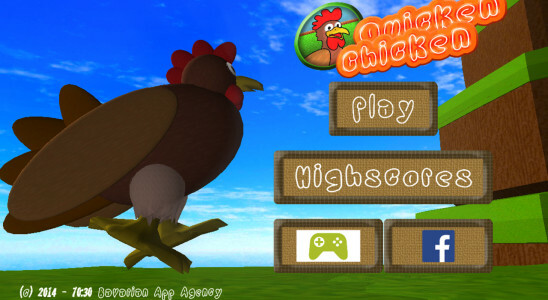 Quicken Chicken – In stores now for free! 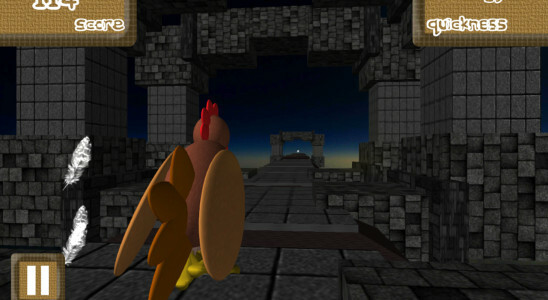 Posted on May 10, 2014 May 10, 2014 by Domi M.
Quicken Chicken has been released and is about to explore the world! Be sure to download your copy of the game on Google Play or Appstore now for FREE! 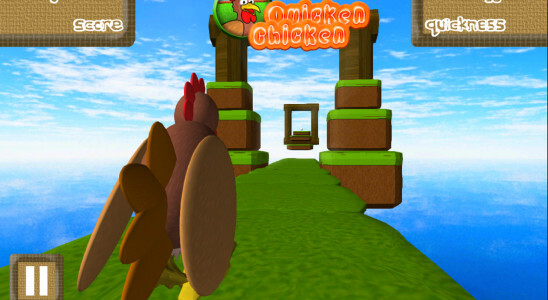 Quicken Chicken is a funny and challenging 3D action runner/platformer game for your Android or iOS device. What’s special: Quicken Chicken gets faster and faster over time! 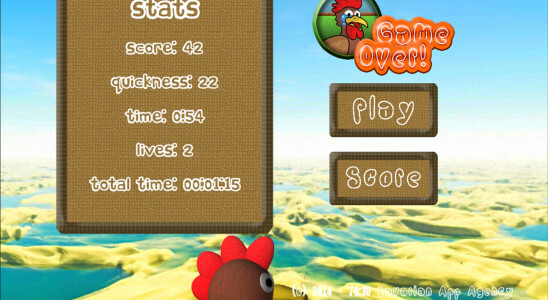 Gain speed constantly, jump over platforms, collect eggs and explore new worlds. Share your best scores on the highscore leaderboard and compete with other players around the world. 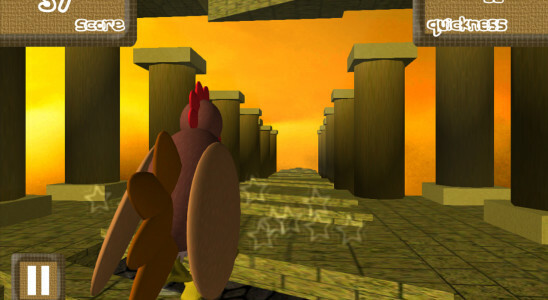 Become the fastest quicken chicken! – Facebook and Google Play Games/Game Center supported for bragging! The game is available for free at the provided download-links (appstore and google play). Please contact us if you plan to write a review about this app. We are happy about every review and support.